Have you every wonder how the pen was invented. Although we now take pens for granted people were forced to live for centuries without pens. Life was a lot harder when you couldn’t just reach for a pen whenever you needed to jot something down or make notes. The history of pens is a very important one to human kind. It is a story that we will explore. More importantly we will explain the history of the ball point pen which is the pen most in use today. 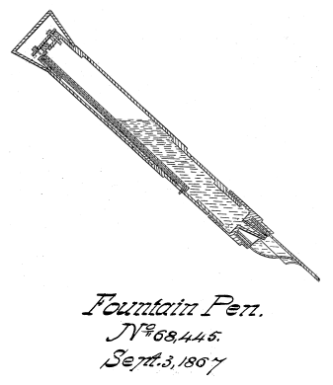 The ball point pen as we know it today was invented by László Bíró. Laszlo was a Hungarian newspaper editor who was born in Budapest Hungary to jewish parents in 1899. He had grow frustrated by the amount of time that he wasted filling his fountain pens. Moreover cleaning up the smudged pages become a unsatisfying choir. Having noticed that inks used in newspaper printing dried quickly he decided to create a pen using that kind of ink. Bíró, with the help of his brother György, developed a new ink formula which he used in ballpoint pens he had designed. Bíró’s innovative design is why to this day we still refer to ball point pens as biros. Many years later some smart fella decided that you could take such a great invention and utilise it as a promotional product. By simple printing a company logo you could hand it out to prospective customer and as such expand the reach of the brand. With the advent of plastic pens it became even cheaper to give out printed pens. These days people are just as likely to give out a cheap plastic pen as they are a more expensive metal pens. For this and more information about pens be sure to give EzyPromoPens a call. The experts in pens and so much more.